Tawny Owl Barn in Cutthorpe sleeps 5 people. 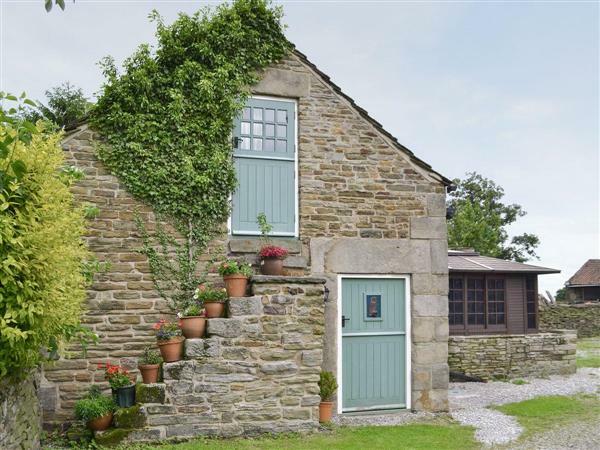 Situated down a small lane on the owner’s non working farm, this former barn has been sympathetically converted retaining many exposed beams and stone walls. The holiday cottage is surrounded by farmland and fields with chickens, ducks and sheep. Situated just 4 miles from Chatsworth, it provides the perfect base from which to visit Bakewell, Matlock, Haddon Hall and the Castleton Caves. Shop 2 miles, pub within walking distance. Ground floor: Living room. Dining room/kitchen with stone tiled floors. 1 twin bedroom (for children). First floor: 2 bedrooms: 1 double, 1 twin, both with wooden floors and en-suite bathroom with shower over bath and toilet. Beams throughout. Woodburner in living room included. Oil central heating, electric, bed linen and towels included. Cot. High-chair. Video and small library. DVD and small library. Stereo/CD. Electric cooker. Microwave. Washing machine. Dish washer. Freezer. Enclosed lawned garden with patio and furniture. Ample parking. Shared hot tub. No smoking please. Holidays at Tawny Owl Barn run from Saturday to Saturday. For a better idea of where Tawny Owl Barn is, you can see Tawny Owl Barn on the map below. Tawny Owl Barn is in Derbyshire; should you be on the lookout for a special offer, you can find all the special offers in Derbyshire. It's always worth checking to see what is on offer at the moment. Do you want to holiday near Tawny Owl Barn (18220), you can see other cottages within 25 miles of Tawny Owl Barn; have a look to find your perfect holiday location.